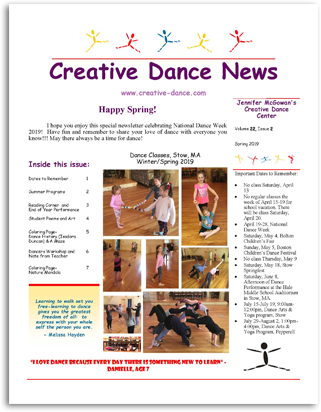 The Creative Dance News is our official quarterly newsletter. Click the link below to download the latest copy. Newsletters are posted in Adobe Reader format. Click on the image below to download and install the free Adobe Reader software.